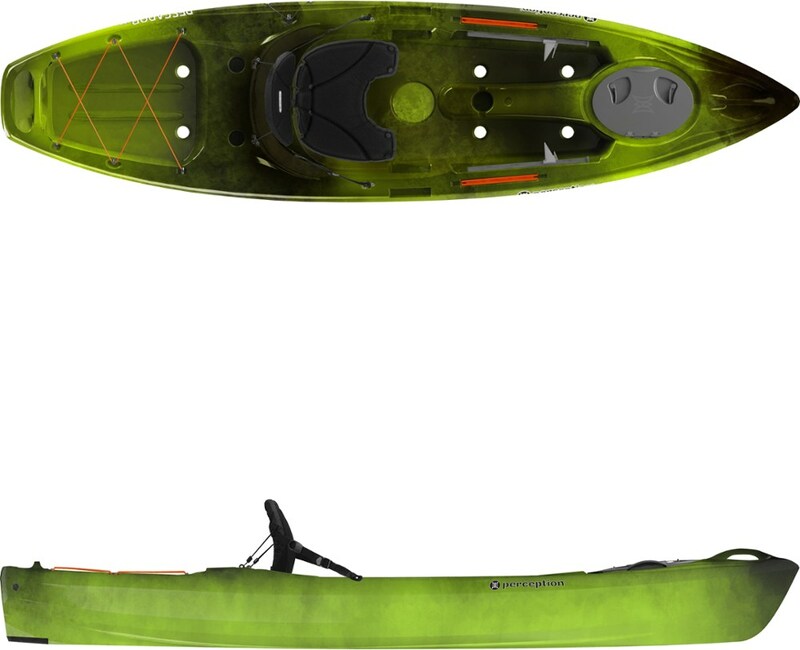 The moss camo Perception Pescador Pro 12.0 is a real fishing kayak for real enthusiasts. 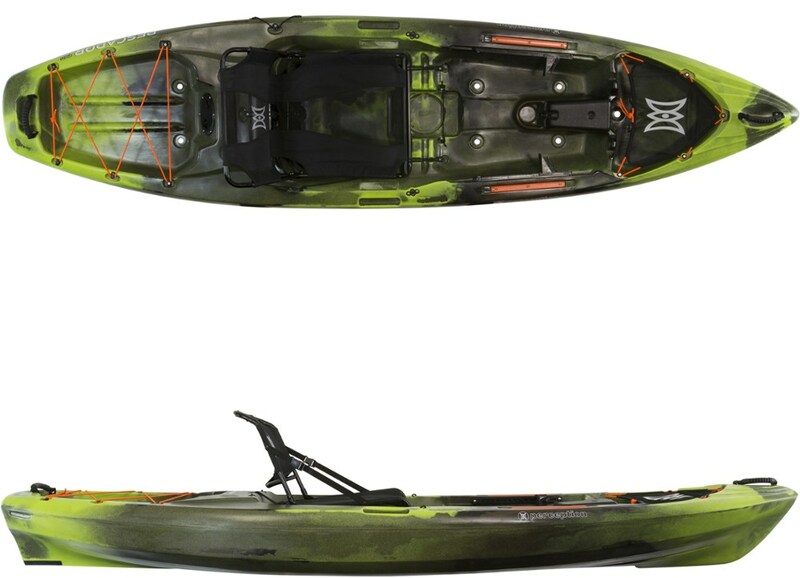 It's chock full of features with the tracking and stability serious anglers come to expect. 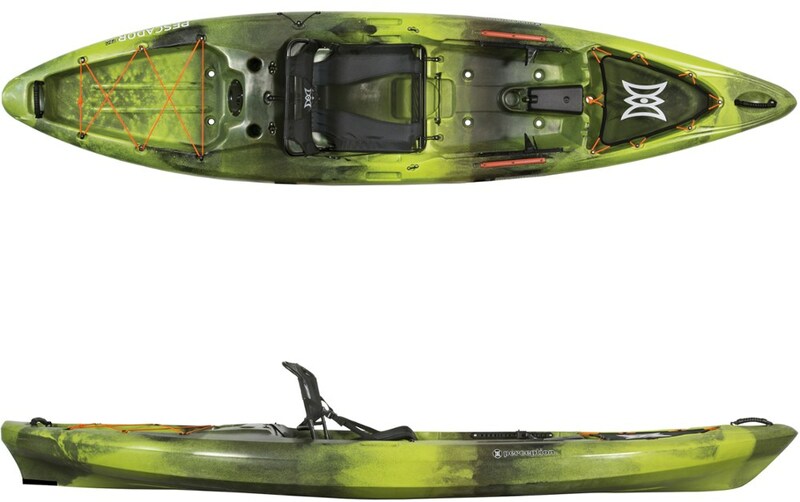 The bite on the bank may be slow, but fish are feeding just along the drop off, so paddle your Perception Pescador Pro 12. 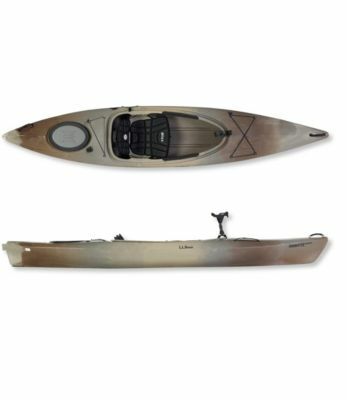 0 Kayak out to where the fish are hiding and reel lunker after lunker into this quick, nimble, and stable fishing kayak. 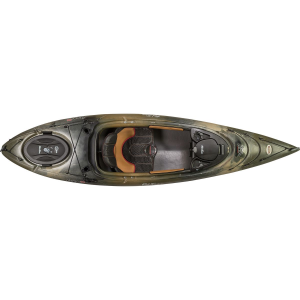 With a stable and efficient hull shape, the Pescador Pro is well-suited for everything from mellow rivers to your favorite still waters. Perception built the Pescador around a simple, yet full-featured design that will please serious anglers, whether they're in pursuit of bass, trout, or saltwater fish.When it comes to features, the Pescador may be streamlined, but it certainly isn't lacking. 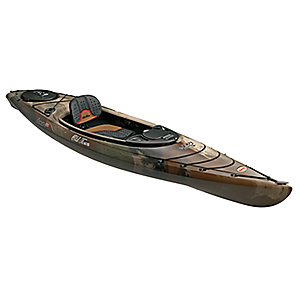 Adjustable foot rests and a reclining seat work to keep you comfortable during the long paddle out to the fish, while the addition of bow and stern tankwells make carrying everything you need for a full day out on the lake as convenient as possible. 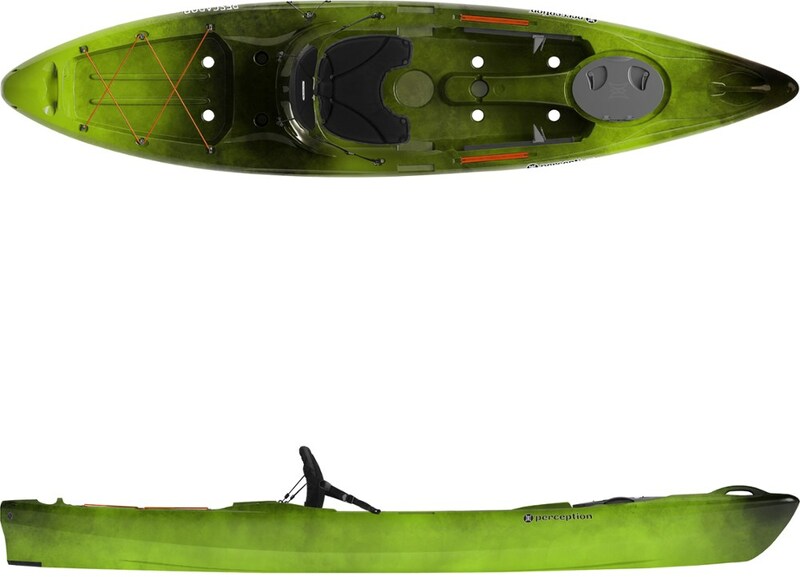 Since the Pescador was designed specifically for fishing, Perception molded rod holders into the kayak, added a transducer scupper for a fish finder, and threw a cup holder in there for good measure.